Organised by our friends in the Department of Social and Historical Studies at Westminster, the University is staging a two-day conference on sport and the city. The conference will also include a reception to launch Mark Clapson’s book An Education in Sport: Competition, Communities and Identities at the University of Westminster Since 1864, which constitutes the second part of the University’s ‘History Project’. The conference costs £60 for both days, including lunch and drinks reception. A student rate of £30 is also available. To register please contact Anna McNally at archive@westminster.ac.uk and details will be given for credit card payment. · On what terms has the rise of video in contemporary arts taken place? · How do notions of medium specificity and site specificity shape video art work made for exhibition? · What is the legacy of analogue video technology in the digital age? · How do our museums and galleries understand video art? Abstract: In 1952, John Wayne starred in John Ford’s film The Quiet Man, set in the west of Ireland. Playing a returned Irish-American emigrant, rather than his more customary role as that potent symbol of the American west, the cowboy, Wayne cut a swathe through Ireland’s wild landscape. 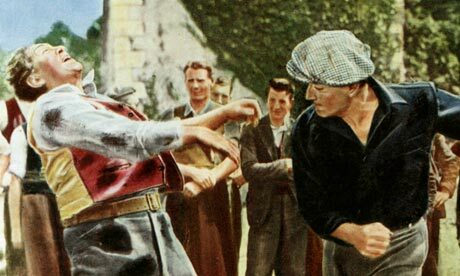 The film projected an image of Ireland as a rural idyll, populated by fiery yet charming natives. Contemporary film-makers and writers, unless being deliberately ironic, tend to avoid such clichéd treatment of rural Ireland. Combining discourses of tradition and modernity, their representations reflect the socio-cultural evolution of this remote location, which inspired Yeats and Synge over a century ago. This paper will trace the development of these representations and discuss the blend of mythology and realism that underpins the work of today’s writers as they address such themes as immigration, identity and belonging. Socrates in Athens; Kant in Konigsberg; Hegel in Jena; Russell in Oxford; Carnap in Vienna; Sartre in Paris. Cities, of course, attract cultural production of all kinds to themselves, and the great cities act as magnets for philosophers just as they do for artists, entrepreneurs and chancers. But is there something more to the relationship between philosophy and the city? Has the course of Western philosophy been influenced by its overwhelmingly urban setting? Thomson & Craighead are part of the inaugural exhibition ‘Being Social’ in the new Furtherfield Gallery slap bang in the middle of Finsbury Park, North London where they are showing a version of ‘London Wall’. The exhibition is on already and runs until 28th April. Details here. T&C are also showing a new projected version of ‘Flipped Clock’ and the short documentary artwork, ‘Several Interruptions’ as part of the exhibition ‘Mirror Neurons’ at the National Glass Centre in Sunderland, on until 20th May. Details here. They’ve also completely revamped their 2001 online artwork ‘e-poltergeist’ for the Canadian journal ‘BleuOrange’, and this goes live on 20th March at 0300hrs GMT. And finally, a new artwork, ‘A live portrait of Sir Tim Berners Lee (an early warning system)’ will be part of the major new exhibition, ‘Life Online’ launching in the National Media Museum on 29th March. Further details here. As you may know, at the 2010 Visual Culture Studies Conference hosted by the Institute and held at University of Westminster in London, a decision was taken by those in attendance to constitute an International Association for Visual Culture. In 2011, at a follow-up meeting at the Clark Art Institute in Williamstown MA, a group delegated from that conference set the process of forming the Association in motion and decided to hold a participatory conference in New York in 2012. The goal of the 2012 conference is to showcase as broad and diverse a range of visual culture practice as possible, consistent with the goal of a low-registration, high-participation event. There can only be a relatively limited number of delegates both for space reasons (only certain spaces can be used cost-free at NYU) and to create a strongly interactive conference experience. These sessions will take place at 20 Cooper Square, New York, 10003 in the Humanities Initiative space, a beautifully designed space overlooking the architectural drama of the Bowery. On the website you will find a registration form: please consider registering! Why does the event have a registration fee of $50 for faculty and $25 for students? This season’s Whitechapel Salon organised by the IMCC in collaboration with the Whitechapel Gallery is on ‘Cultures of Capitalism’. 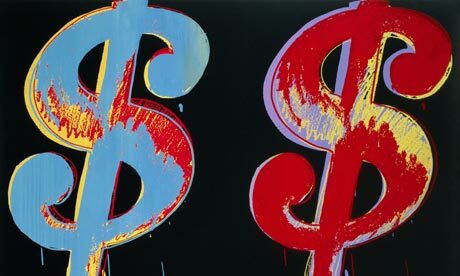 The fifth salon turns to that social and economic form at the very heart of capitalist cultures: Money. In the light of contemporary crises in financial capitalism, Professor Peter Osborne, Director of the Centre for Modern European Philosophy at Kingston University, and author of books including The Politics of Time, Philosophy in Cultural Theory, and Conceptual Art, will be in discussion with David Cunningham about money, cultural form, and the nature of the ‘real’ today.